A focal point for a bohemian chic penthouse and a great accent to a modern bachelor’s apartment; Kara Smith from Smith and Firestone Associates Luxury Interior Design may have been looking for two completely different missing pieces when designing two suites for the Residences at W Hollywood, but she found one common solution. These high-end custom residences not only allow discerning homeowners top-tier materials and brands to choose from, they also come with LEED Silver Certification. Everything from construction materials to outdoor landscaping has been chosen with sustainability in mind. The W hotels are known across the world for their contemporary architecture and modern chic décor. When Kara was commissioned to design a penthouse suite and a residential suite for the Residences at W Hollywood, she needed to maintain this signature style whilst still creating a different finish in each suite. 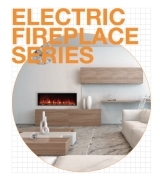 The EcoSmart fire perfectly complements the warm textured colour palette of creamy neutrals combined with pops of bright colour in tones of orange and metallic. Clearly very effective in the design of the penthouse, Kara has also utilized the element of fire in Suite 6A, which by contrast is a modern masculine room with bold colour, tailored lines, and edgy artwork. “Bold crisp shades of blue and graphite meet clean white lines, warm golden wood floors and smooth brown leather chairs,” describes Kara. “The EcoSmart fire here is a bold accent to the masculine feel of this suite. 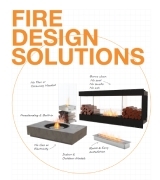 Despite being vastly different, both residences use EcoSmart Fires to bring the indoors and outdoors together. 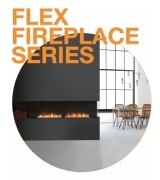 Firing Up Design EcoSmart burners and fireplaces have the finest, most beautiful flames of all ethanol burners – having an impactful and beautiful flame was one of the main criteria we wanted to fulfil. 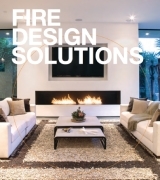 Our client loved the implementation of EcoSmart fire.